Norbert Hartl, 25, of Monks Road, Lincoln. Drunk and disorderly. Fined £200, £20 victim surcharge and £85 costs. Iqbal Hussain, 37, of Roughton Court, Lincoln. Drunk and disorderly. Fined £110, £20 victim surcharge and £45 costs. 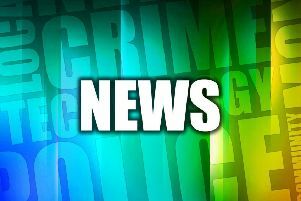 Sophie Helena Charlotte Brown, 29, of Tower Street, Gainsborough. Stole a laptop computer from another person. Fined £55, £20 victim surcharge and £25 costs. Beverley Hodgkiss, 47, of Vine Street, Lincoln. Stole bottle of perfume. Fined £75 and £20 victim surcharge. Joanne Louise Bernadette Murray, 42, of Bawtry Close, Lincoln. Stole an electric guitar, amplifier, tablet, clothing, rucksack and other items. Committed to prison for four months, suspended for 12 months. Joanne Stanham, 47, of The Manor, Lincoln. Driving under the influence of alcohol. Fined £665, £60 victim surcharge, £85 costs and disqualified for 24 months. Darren Terence Moncaster, 37, of Lisburn Close, Lincoln. Driving under the influence of alcohol. Community order made, £60 victim surcharge, £85 costs and disqualified for 25 months. Leon Michael Carrington, 23, of Fairfax Street, Lincoln. Driving without due care and attention.Fined £600, £60 victim surcharge, £85 costs and licence endorsed with six points. Adam Stepen Fox, 27, of The Quays, Lincoln. Speeding. Fined £200, £20 victim surcharge, £85 costs and licence endorsed with three points. Thomas Eugene Turner, 22, of Larne Road, Lincoln. Driving whilst unfit through drugs. Fined £220, £22 victim surcharge, £85 costs and disqualified for 12 months.